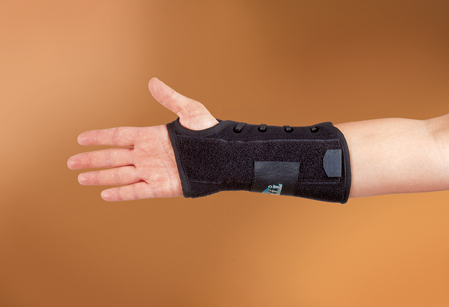 Lacing wrist orthosis with soft felt interior and nylon exterior, in a universal size. Fits under the fingers for full function, and is easily adjustable to fit the thumb and wrist. 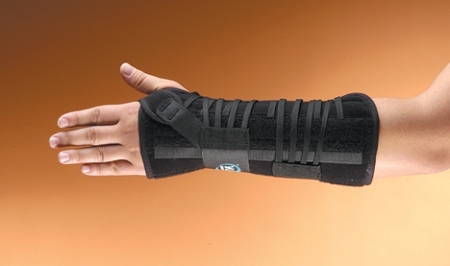 The pull and lacing system allows you to fasten the Titan wrist orthosis with just one hand.